SchraderPalooza ’12 crept up quickly this year. 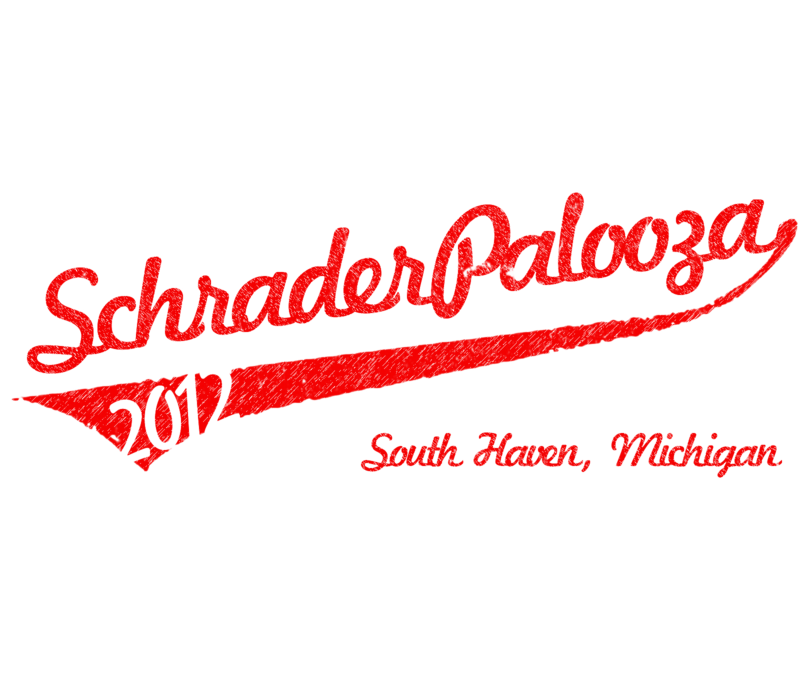 For those of you who don’t know, SchraderPalooza is the conglomeration of 60+ Schraders, five different cottages, and uncountable stories & memories. This bi-annual event is something everyone looks forward to once it commences on the last Sunday in July. Thus, we needed t-shirts. Thankfully my cousins introduced the idea for SP ’10 when asking if we wanted to order t-shirts. Feeling like upping the ante this time, I wanted to incorporate family into the shirts somehow. People might buy the shirt out of the anticipation felt before the big event, but they would only wear it upon SchraderPalooza’s closing if it touched them in a sentimental way. We needed something that brings back memories. 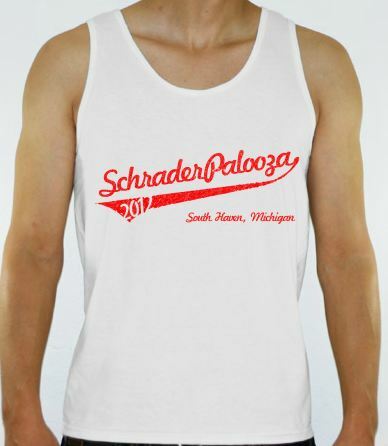 Something you could open your dresser drawer in January and suddenly think back to more than just SchraderPalooza ’12 but South Haven, Michigan memories and the Schrader family in general. So I asked my Aunt Carolyn, wife of my great uncle, for some photos. Before we get started, you should know: the Schraders are about 70% male. We’re loud. We love God. We like to have a good time. Which now leads us to our first design. Texting my brother Nic on a tight deadline, he came up with the quote on the back that incorporated faith, a beer, and pride in the family. I gladly photoshop’d a Corona into my (great) Uncle Joe’s hand. 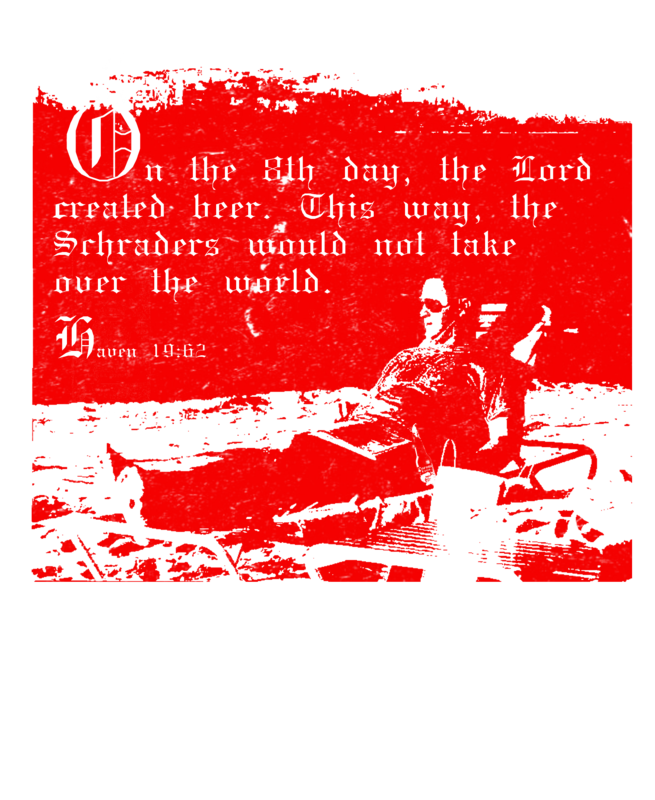 For design number two, we needed something encapsulating more than just a relaxing day with a solo cup. We needed that family vibe you get when you get over 50 Schraders together. 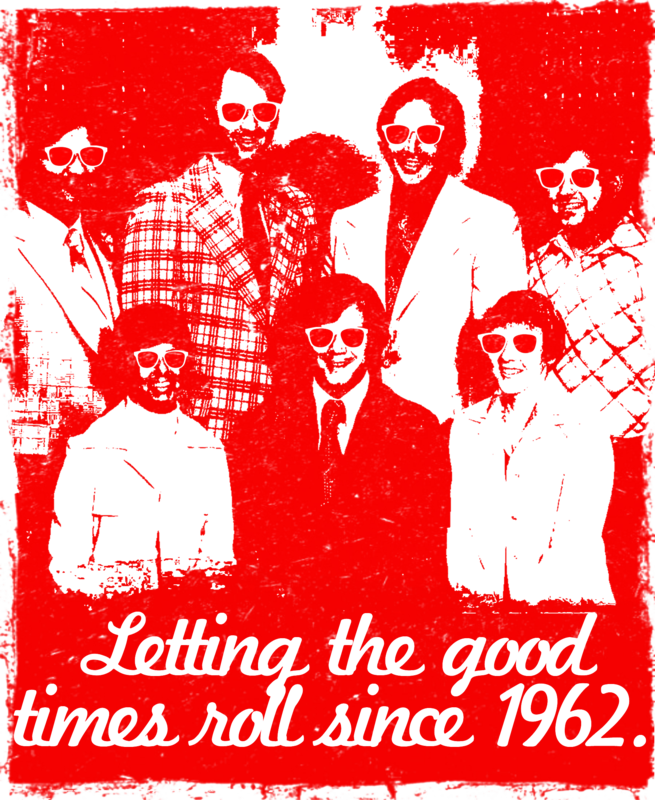 I didn’t have many pictures of my grandpa’s entire generation, so I added some wayfarers to give it a beachy feel that fit right in with my relatives’ vintage ’70s attire. 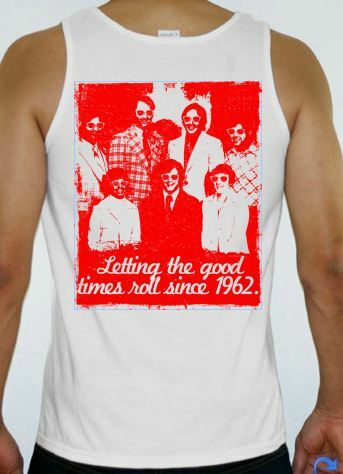 “Let the good times roll” was 2010’s theme, and I wanted to keep the original t-shirt creators involved. Of course, you have to improve what already exists, so I added some history to coincide with the throwback picture and mentioned the start of South Haven trips, 1962. There you have it. 2014 has its work cut out, but I think we have ample time to prepare. Can’t wait.